Firestorm™ BAB2000 cv. is a highly colored red strain of Honeycrisp. Honeycrisp, bred by the University of Minnesota, has quickly become a consumer favorite, providing a unique flavor and texture. 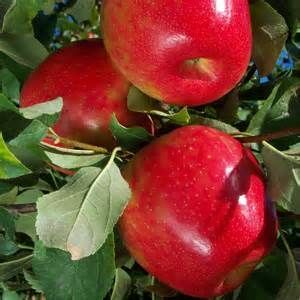 Firestorm™ retains all of the characteristics of the standard Honeycrisp with the addition of improved coloration.